Another critter hard to pin down. 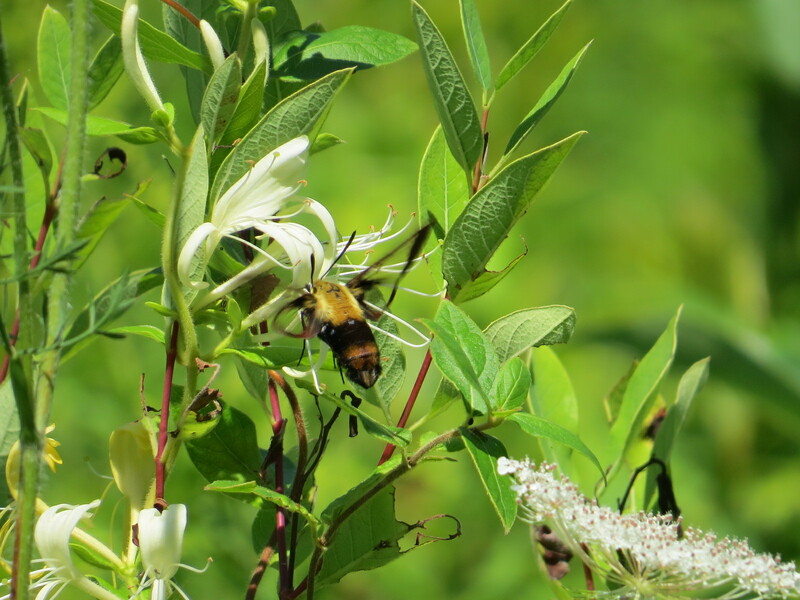 This is a Snowberry Clearwing Moth (Hemaris diffinis), named after one of its host plants and, more obviously, those see-through parts of the wings. 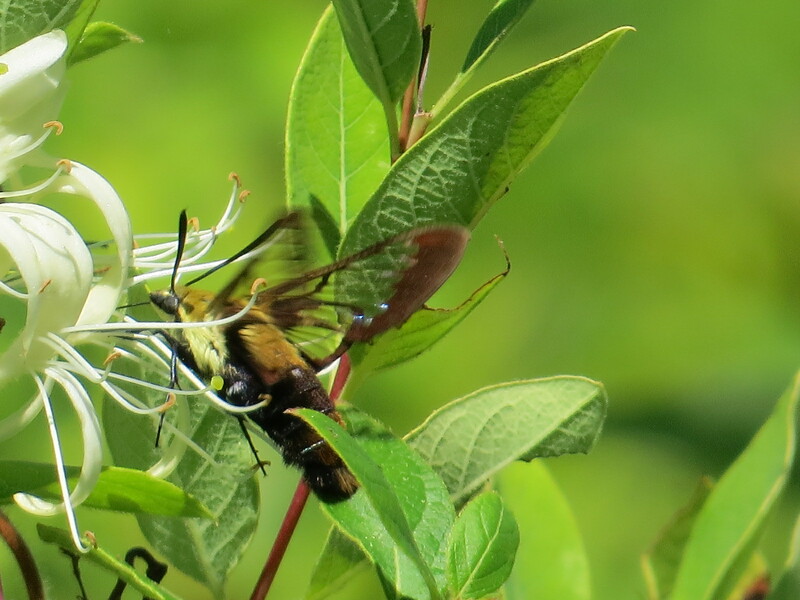 This was moving quickly between honeysuckle blossoms, another of its caterpillar hosts, and proving hard to capture in the lens. Note that it mimics a large bee or wasp, sort of flying like one, too. I thought at first this was a Hummingbird Clearwing (H. thysbe); it says here the species can be difficult to distinguish, but the legs on this specimen are definitely black, and that means diffinis. Compare to the similar-sized Nessus Sphinx.